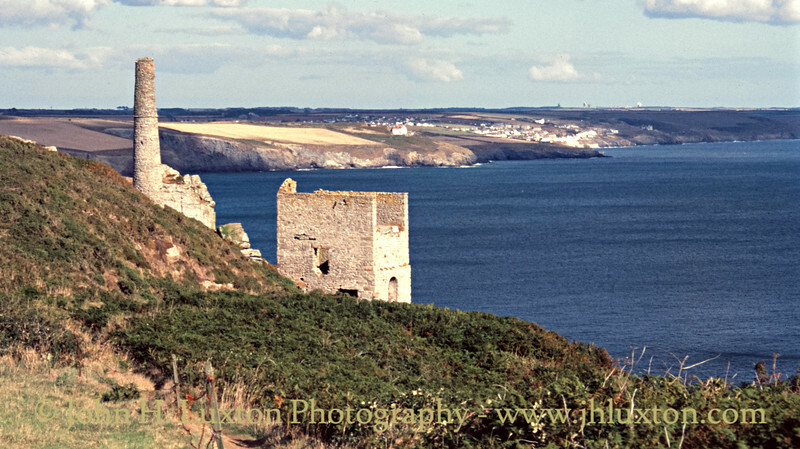 Located half a mile to the southeast of Wheal Prosper lie the remains of Wheal Trewavas or Trewavs Head Mine. 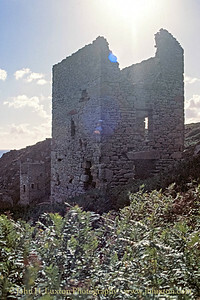 Wheal Trewavas opened in the mid-1830's with a pumping engine installed on Old Engine shaft working the Old (South) Lode. 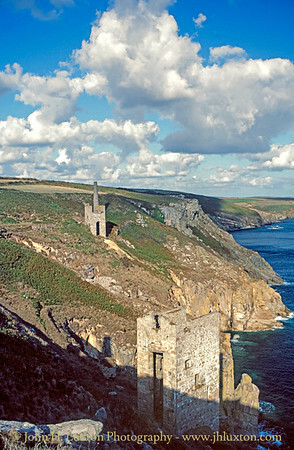 In about 1838 a new pumping engine house housing a 45-inch cylinder was erected a few hundred metres to the east - on slightly higher ground - over New Engine (or Rogers') shaft. There are records showing that at one stage in the early 1840's the concern employed around 200 people in mining and ancillary trades at Wheal Trewavas. A new shaft was sunk on the eastern section of the sett with a 70-inch pumping engine replacing the smaller engine on New Engine Shaft. This new shaft known as Diagonal shaft reached a depth of nearly 600 feet in the mid 1840's and things were looking set fair for a good return on the investors capital. The mine is known to have employed about 160 people around about this time. Why the mine closed a short time after the installation of a larger engine is unknown but there seems to have been some question of financial irregularities or some foreclosure by the banks. In any event, the mine was allowed to flood and the majority of the saleable assets sold off. In the decade Wheal Trewavas was in operation it produced over £100,000 worth of copper ore.
New Engine Shaft pumping engine house. Old Engine Shaft pumping engine house. 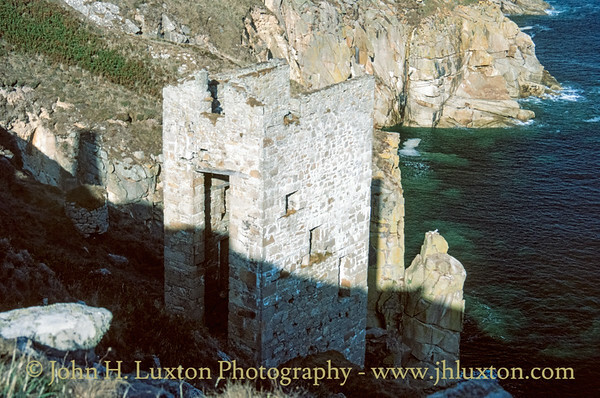 Old Engine Shaft pumping engine house. 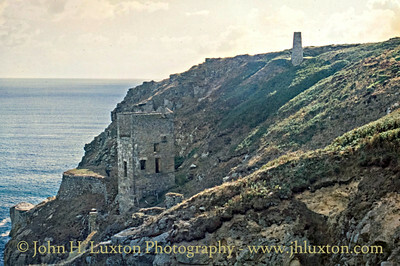 The long slot in the front wall was for installing the Cornish Engine beam in this difficult to access location. 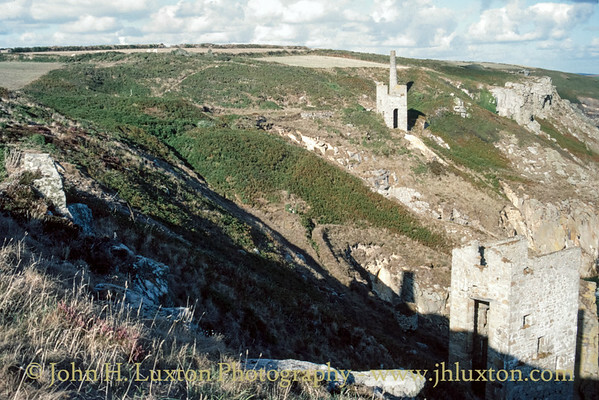 New Engine Shaft in the background and Old Engine Shaft in the foreground.